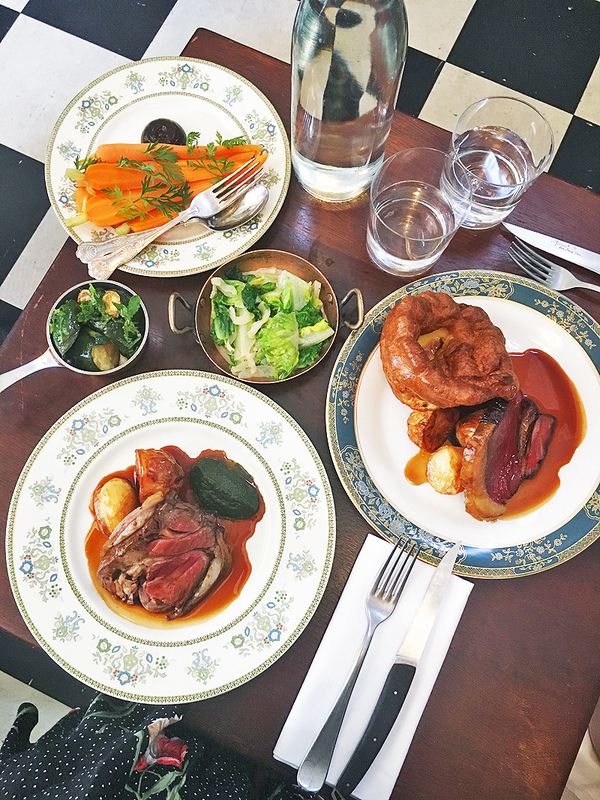 Like steak, I enjoy a good Sunday roast but have only tried a few in London: Blacklock, Temper, Bob Bob Ricard and The Jugged Hare. 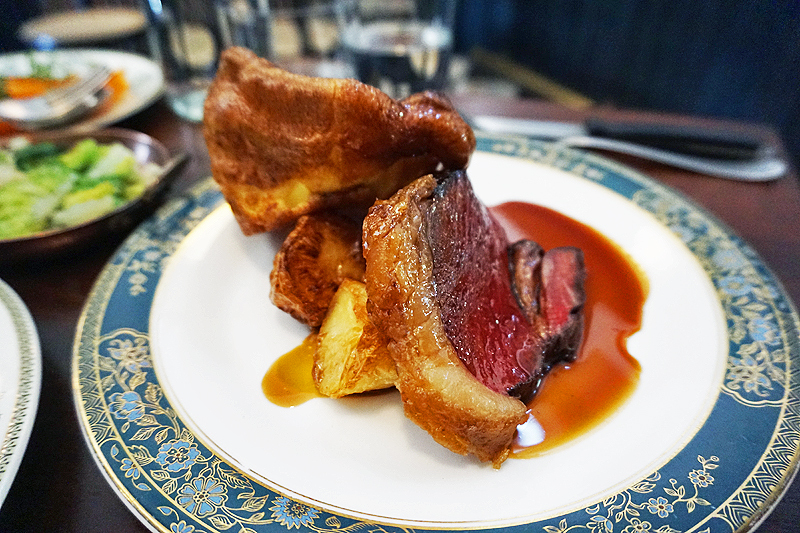 In comparison to those four, The Quality Chop House is my favourite thus far. A bonus is that it's not too far from where I live. :D 2 courses cost £28 whereas 3 courses cost £35. My sister chose a starter and a main while I opted for a main and a dessert. This was my sister's starter and I had a small taste. I'm not a fan of buffalo cheese, but this was nice and creamy. The lamb was simply divine! It was perfectly cooked to medium doneness, and the meat was so tender and flavourful. The mint sauce elevated the flavours of the lamb without overpowering them. The roast potatoes hiding behind the lamb were nice and crispy too. 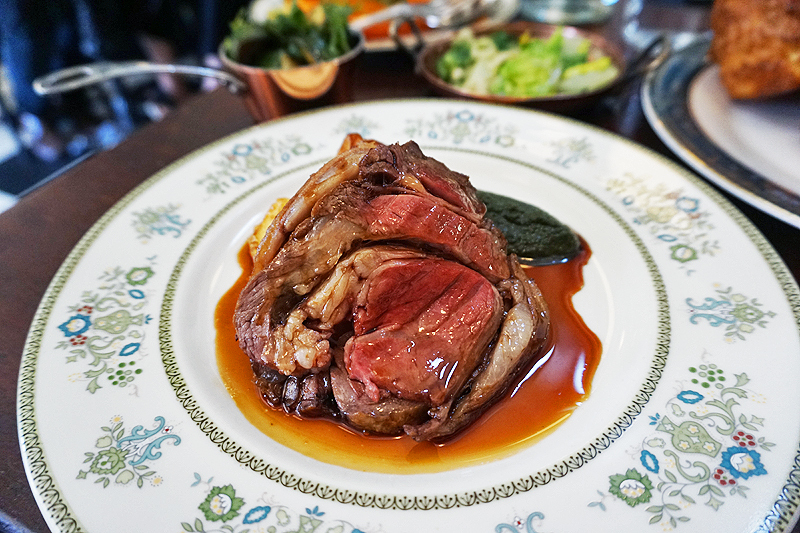 If you read my review of Goodman, you'd know that we like Belted Galloway beef, so we were chuffed when we discovered that it was The Quality Chop House's offering for Sunday roast. The cut was thick, and the meat was tender and pink. The Yorkshire pudding is the best I've had thus far: crispy on the edges, soft in the centre and with a nice chew. My only gripe is that there wasn't enough gravy, which was delicious. The carrots were pretty bland unless you eat them with the burnt apple puree, which had an interesting sour taste. 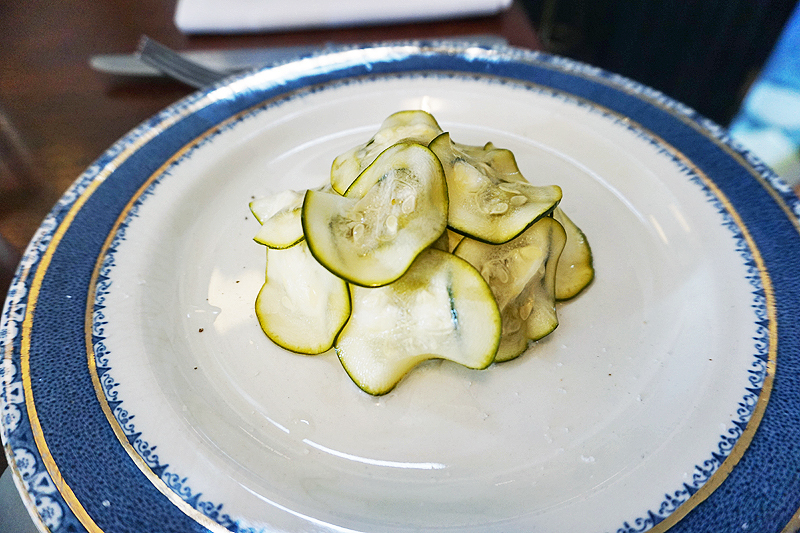 The courgettes were decent whereas the gem, fennel and creme fraiche were too salty for my liking. 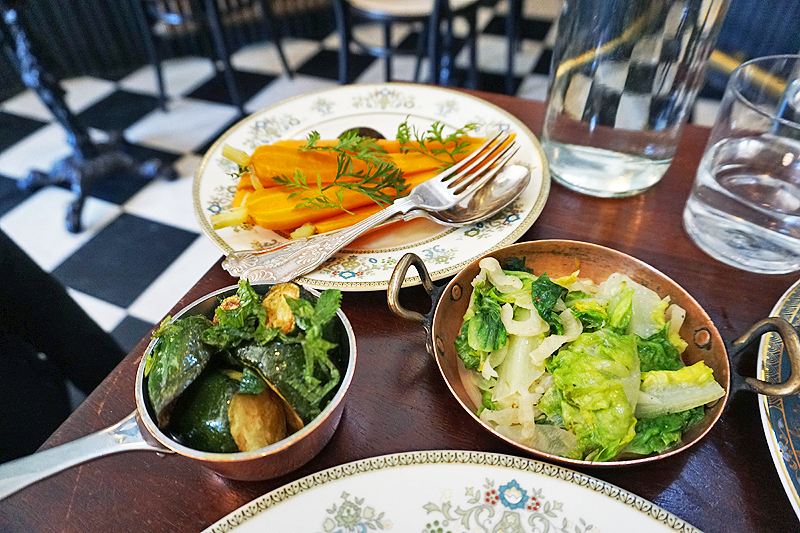 Overall, I thought the vegetable side dishes were unimpressive and much prefer the traditional honey roasted vegetables that usually come with Sunday roasts. 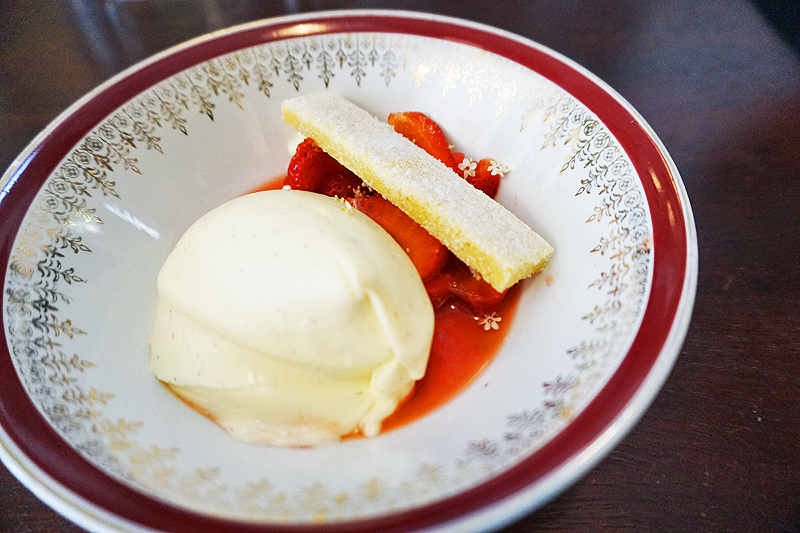 The clotted cream was light yet creamy and with a hint of vanilla flavour. The strawberries were fresh and tart, but still sweet. However, there was too much clotted cream and not enough strawberries. By the time I ran out of strawberries, there was still so much clotted cream left. The elderflower didn't add anything to the overall taste of the dish but they were a pretty decoration. I thought this was a decent dessert but nothing to shout about. With the exception of the average side dishes and dessert, the mains were outstanding. Service was good and I like the beautiful crockery. I would definitely go back to try the Belted Galloway steaks next time!